Combining the manufacturing quality of a USA-made LINAK frame, and the aesthetics and build quality of Danish design, the UPDESK Pro electric standing desk has proven to be a hit among individuals and offices alike. 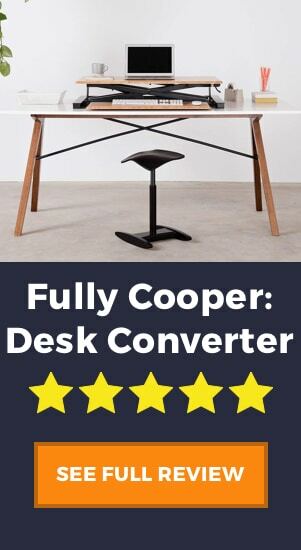 It has the second best lifting capacity of all 2-legged standing desks on the market, programmable heights with smartphone app technology, a higher than average 7-year warranty, and amazingly UPDESK offer free shipping on this product. 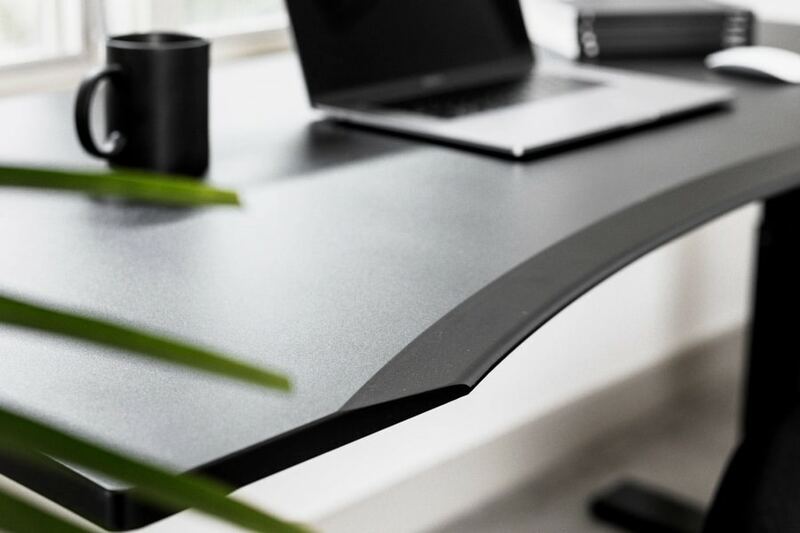 This is a desk that really leaves its users satisfied and once you see our full review below we think you’ll see why. DON’T MISS: After hours and hours of product research, we have come up with a list of our top 6 best standing desks. Take a look at the list here. The first and most obvious point of difference that I see with the UPDESK Pro is the huge lifting capacity. From my knowledge, and if you take a look at the top standing desks comparison chart you’ll see that this is in fact the second highest capacity for 2-legged standing desks. The only other desk to have a better lifting capacity that the UPDESK is the StandDesk Pro at 400 lbs, but personally I think the UPDESK has a little more to offer in other areas which make it a better choice. What’s more, it has this lifting capacity while still maintaining an above average lifting speed, and also relatively quiet at only 55dB. One drawback that we see among other brands and other standing desk models is the fact that they have a lot of paid add-ons, one of which is usually a programmable controller. UPDESK does it better in my opinion by providing this controller with the desk at no extra cost. The controller is similar to most other programmable consoles in that it has 4 different programmable height settings, as well as standard up/down controls. I personally prefer the design of this one over others because it is small, minimalist, and really doesn’t get in the way. What’s great about the UPDESK though is their smartphone App support for both iOS and Android. You are able to connect the controller to your phone which makes it even easier to use. The only other brand that has this App technology with their products is iMovR with the Lander desk. Good, but not amazing, is how I could describe the warranty for the UPDESK Pro. I mean, 7 years is a decent amount of time, and by all means, when compared to other products it is on the upper end so I definitely consider this a “pro” for the UPDESK. It is not the longest warranty that we know of, with some desks offering 10 years or even a lifetime warranty on their frames. That said, given the average warranty is around 4 to 5 years, 7 is definitely a bonus. When discussing adjustable range, a lot of users will focus on the highest height. This makes sense really when the reason you want a standing desk is for working while standing up. However, often overlooked is the low-level performance of a desk. A standing desk is also known as a height adjustable desk, and you should really be maximizing this feature while seated too. Although the average desk height is 29 inches, it doesn’t mean this is where your desk should be. In fact, most people benefit from lowering their desks a little to promote healthier posture. 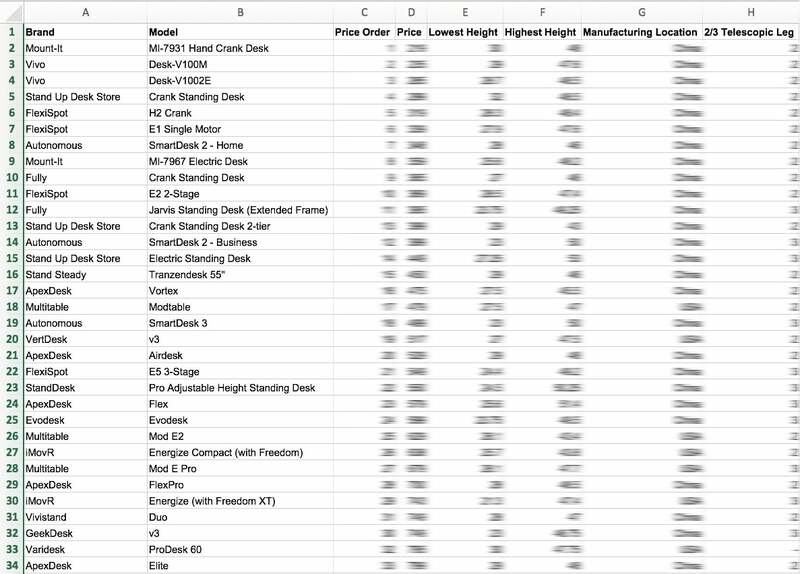 All that being said, the UPDESK Pro has a low-end height of 23.5 inches, which is close to the lowest in the industry (21.3 inches is THE lowest). For people who are sit to standers, not just permanent standers, having this amazing range of adjustability in the seated position is a big plus. I’ve mentioned this before in other reviews that I personally am not a fan of too many paid add-ons. I like the fact that certain desks such as Varidesk ProDesk 60 come with all the extras included. Obviously, this is a personal opinion, as many people think that having extras are unnecessary and prefer the option to pay for them or not. Regardless of your preference, the UPDESK Pro does come with a few accessories included, and ones that I think are necessities. The first is two integrated cord channels for cable management. No-one likes an unsightly desk with cables everywhere, so this helps you keep your cables neatly tucked away. Secondly, a power bank with 6 outlets that is mountable to the desk. If you have laptops, phones, monitors, or tablets that you need to be charged at all times, the having the power bank mounted to the desk is a super cool feature. Yes, you read that right! Free shipping. I’m not sure there is much more I need to say about this, because really, who doesn’t love free shipping? Unfortunately, if you are outside the lower 48 states then you will have to pay for it, as you would with most other standing desks. The main drawback, in my opinion, is the lack of customizable options for both the desktop and the frame. First, let’s have a look at the desktop. The desktop comes in two unique sizes, 60 x 30 inches and 72 x 30 inches. 60 x 30 is a very standard size offered by most standing desk models, and the 72 inch is the more executive office size. The desktop is also offered only with a contoured front edge. There are other brands, such as the Jarvis by Fully, which offer many more widths, depths, and the ability to choose square or contoured for all the different sizes. Not only that, the UPDESK Pro only offered standard MDF desktops, and only in grey, black, or white. There are no natural wood, bamboo, or even other colors that many brands offer these days. In modern offices people like the highest quality aesthetics. 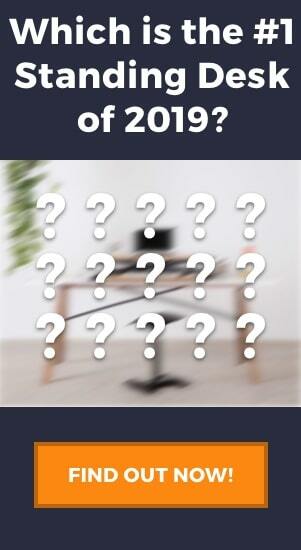 Although I personally like the UPDESK Pro design, it is true that the lack of options is limiting. The same goes for the frame, although this is more common among other brands too. The UPDESK Pro frame comes in grey, black, or white, giving you a total of 9 different color schemes to choose from. The contoured front edge of the UPDESK. This is not so much a drawback, but just an observation to make. For the amount of money that you pay for this desk you actually get a very good deal considering it is USA-made, it has free USA shipping, and the overall design and build are high quality. However, if you aren’t looking to spend that much and were looking for something cheaper, say under $500, there are products out there that have similar features at a lower price. A couple of cheaper desks that we recommend are the Jarvis or even the StandDesk Pro. The UPDESK Pro is definitely in my top 10 of standing desks. I personally like the fact that it is USA made, has a nice albeit not very customizable design, and the great low-end adjustability range. If you are based in the USA then the free shipping is also a huge bonus. 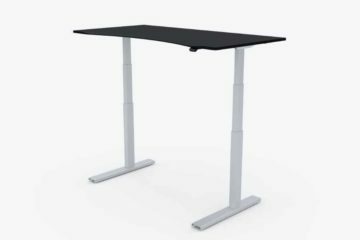 UPDESK is a brand that is respected and liked by its users and it is fairly clear to see why this desk earns its 4.5 out of 5 stars.